Individuality: still going strong or is it a thing of the past? I follow Chris Brown on twitter. This is because I admire his inspirational rise from the ashes like the phoenix after his career went up in smoke. His fall from grace followed what has up till this moment remained his worst mistake both as a public figure and an individual; his battering of Rihana… Even the recent report of Chris Breeze being kicked to the curb by his house mates couldn’t do anything to this newly humbled individual. I, like many other CB fans, still believe that the fire he lit himself, was being fanned by the conglomerate of musicians he once belonged to. But that is just a belief. An assessment of the songs he has done since then reveals two things..
2.he still has people he can count on, seeing as to how they are not fully controlled by the conglomerate that he previously belonged to(as shown in the ‘Beautiful People’ ft. Benny Benassi video). Recently on his twitter account, CB asked this question ” Is there such thing as individuality anymore?”. I don’t know where his mind was at when he posted this but it certainly had me scratching my head for an answer.. I couldn’t tell whether he was speaking of individuality in societal terms where it would mean the interests of the individual as distinguished from the interests of the community; or if he was speaking in terms of identity where it would refer to sole and personal nature with regard to character and quality. If he was refering to the first meaning, then I would assume it is because he has personal experiences of how groupings can make or break you. He is in an industry where many people work together to build a brand and keep it alive. From the artist scouts to the A&R executives that he has worked with in his rollercoaster of a career, you wouldn’t blame CB for believing on collective effort even if it may be shunned as “dependency syndrome” in american socio-psychology. On the other hand, if Breeze was talking of the latter meaning of individuality which pertains to identity, then it must be the way people have been known to acquire and emulate tastes in image projection and character copying. He understands it too well as his dance inspiration, by his own admission, comes from the King of Pop, Micheal Jackson(god rest his soul). CB has seen his attempted industrial replacement by Jason Derullo, either by accident or design. To mimic mannerisms successfully, one needs fingertip information on the personality they want to emulate. In this day and age access to information has been made easier than before. Wikipedia is just an example of a website where you can type a name and the persons entire recorded history is at your disposal. There are sites that even post rumours about a particular person of interest which gives you the nature of ones environment at that particular time. You get to know how popular or unpopular they were. Even more interesting is the social networking sites that give you insight into momentary temperament of an individual. CB, or any other person of influence may air out his personal opinion on an issue and it will end up affecting the “independent” views his admirers have on the same. So to Chris Browns question I respond yes and no.. Yes, individuality still exists. People work together as conglomerates in a particular industry with diverse needs where each individual inputs his specialised skills but their place in the group is only guaranteed as long as they can deliver. Collective community interests are shunned and tagged as Socialist or Communist are only ever tolerated in the case of disaster, since disaster and natural calamities remain the only things that people feel vulnerable against. No, there is no such thing as individuality any more. It is the least protected “intellectual property” if I may call it that. With every facebook update and tweeter post, we advertise our mentality and disposition. We show how and what can influence our opinion, how we individually choose to air our views, what our personal preferences are. It is all out there for every one to see and copy. Don’t get me wrong, I am not saying there is anything wrong with sharing information, but the very thing that maintains the integrity of an individuals identity is the inability of the next person to predict his actions and yet remain un surprised by what ever he does. 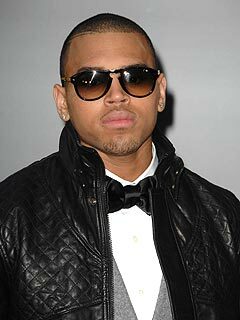 Thanks again Chris Brown for your Music, your struggle and your question.